Nicholas Lore, founder of the Rockport Institute, is a career development pioneer. He single-handedly transformed the career coaching field, he’s been commended for excellence by 2 US Presidents, and his book “The Pathfinder’ is one of the best selling career books in US history. Over the last 29 years he’s helped over 14,000 people to make a change. When Nick started out, career counselors all followed the same model – using very basic interest and personality tests to identify and suggest jobs that might suit you. Instead, he says, career change decision-making must be a holistic process. He points out that a passion for animals won’t necessarily translate into happiness if you take a job in an animal protection agency. You may find you don’t like your tasks, or the people, or the salary, or the hours. And what started out as a passion can quickly feel like a millstone around your neck. That’s why Nick guides his clients through a holistic decision-making process. He likens it to detective work – identifying and interpreting clues in order to guide each person towards the right decision. You may think you know exactly what you want do, but Nick encourages his clients to “expand what’s possible.” He believes we tend to base our dreams about the future on what we have known in the past, and he encourages his clients to think beyond what they know and consider completely new possibilities. In the process, many find joy and self-expression in work they had not previously considered. According to Nick, there are two different tracks to consider when working through a career change decision. The first is reality: We all have constraints on what changes we can make. Perhaps you have to pay for two kids in college. Perhaps you need to stay in a certain regional location. Your talents and skills are another reality constraint – if you can’t draw, you can’t become a video game artist. The second is what Nick calls ‘the invented world.’ By this he means the world you decide that you want to create for yourself (within the limitations of reality of course). To help people create their invented world, Nick and his staff coach them through a series of exercises designed to help them explore, research, and understand all of the many possibilities. He also encourages people making a career change to research the reality of the positions they are considering. It’s easy to imagine only the good things about your desired role without considering the down sides. It’s also common for people to succumb to “yeah-but” thoughts that keep them from making a change. While this approach might result in success, it’s more likely to lead to a dead end. Instead Nick recommends developing definite clear, written statement of your specifications for happiness before you start to consider options. And as you make your choice, ask yourself ‘what will it take to get there?’ to be sure you’re willing (and able) to do what is necessary. For example, one 40 year-old client of Nick’s decided she wanted to be a doctor, gave up her job, and went to medical school in order to make the change. That kind of commitment is only possible when you have fully thought through your decision from all possible angles. A good resume is important but it can’t get you where you need to be without a creative approach. In general, employers are looking for someone with experience in the specified field or industry. They are not looking to take a chance on someone new and untested. This strategy has become easier than ever with the advent of social media. Sites like LinkedIn allow you to reach out and connect with people from any industry. Services Like Twitter allow you to initiate conversation with anyone you choose. For no cost at all, you can set up a blog about your target profession and very quickly build a strong reputation. 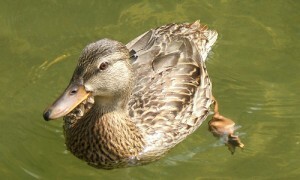 Remember, if you want to be a duck, you have to act like one. My conversation with Nick was inspiring. He told me that what keeps him going after 29 years is his commitment to helping people love their lives. What a great mission! 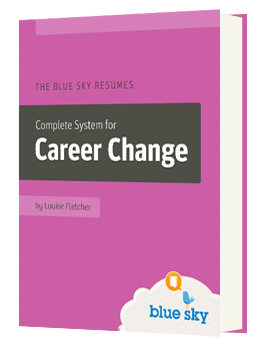 Get the Complete System for Career Change! Do you dream of a new career, but don’t know how to make it happen? If so, The Complete System for Career Change is for you. We’ll show you how to turn your dreams into reality with our practical, step-by-step approach. We cover everything from defining your goals, through resume writing and job search strategies, all the way to acing the interview. Check it out now! Great thoughts. I like the part about the invented world. People often think I would like to do this or that be not not have a definite plan. Good blog post. Great post. Thanks a lot. Very informative.